You may have noticed that I haven’t reviewed an episode of Dexter in a while. That’s because this season has really made me lose faith in the show. Watching the past five episodes in a row, I noticed an increasing downward trend in the quality of what is to be the final season of Dexter. However, this doesn’t feel like a final season to me, and in retrospect it puts a damper on the entire series as a whole. Dexter has never been an amazing show. It’s been filled with an amazing performance by Michael C. Hall, and some amazing guest performances, but the quality of the show has always fluctuated in regards to the scripting and storytelling abilities from its head writers. Now this isn’t to say that Dexter isn’t an entertaining and fun show, because it is. I’ve stuck with it for eight years of my life, because I’ve always considered it a fun, guilty pleasure. The first few seasons found ways to challenge their audience, and immerse them in a world inhabited by a serial killer who’s trying to live a normal life. When the show stuck to that formula, and kept the outrageousness to a minimum, I found it to be enjoyable, and at times enthralling. Dexter’s dialogue with his victims was always stellar, and the plots usually remained within a central problem (i.e. a central murder/serial killer plot). But once season six aired, that all changed, and Dexter became one of the silliest programs on TV. Sacrificing the well thought out murder mysteries that defined the series for an outlandish plot revolving around the end of the world, Dexter lost its credibility and “jumped the shark” as many series’ often do. It created a plot that felt more cartoonish than suspenseful, and took Dexter off of the line of danger he had standing on for five seasons. From there, the show introduced numerous plot lines and romances that no one could care about because they weren’t developed properly. What made the relationship between Dexter and Rita so brilliant in earlier seasons is because it was developed properly over four seasons; it had time to grow on its audience. So when Rita was murdered, the impact was so much stronger and much more resonant. But in the past two seasons, the awkward relationship Dexter formed with Hannah McKay feels rushed, out of place, and lacking any form of chemistry. In addition, suddenly focusing on minor characters like Batista, Quinn, and Matsuka so late in the season isn’t so much character development as it is lazy storytelling. It’s as if the writers ran out of plot devices and decided to fill the space with whatever came to mind. But I digress, because season eight is the problem that is now plaguing Dexter as a series. I could have forgiven everything that was wrong with seasons six and seven, if the writers had found a competent and meaningful way to end Dexter. And when the season began, I had some hope. They opened up a new aspect of Dexter’s persona, and really started to answer a fair amount of questions regarding his back-story, as well as introducing Evelyn Vogel, a psychologist played brilliantly by Charlotte Rampling. But then the primary antagonist (The Brain Surgeon) was cut out of the plot, and Dexter got a new protégée, and Hannah McKay came back, and Deb tried to kill Dexter, and now The Brain Surgeon is back and surprise, he’s Vogel’s son. Oh, and of course Quinn and everyone else got really flat subplots that people couldn’t care less about. The problem with this final season is that there is way too much going on to wrap the series up nicely, or well enough for anyone to care. If The Brain Surgeon had been someone the audience knew well, like Vogel herself, that plot could have worked. It might have been a little predictable, but it would have made more sense than having the killer be a character we barely know and can’t be shocked by. Introducing him so late in the game was a really vapid choice, providing little threat to Dexter, and implementing a stale cat and mouse game. Even with The Brain Surgeon killing Vogel, the stakes really aren’t raised, and the emotional potency isn’t particularly high because the series never built up this sympathy for Vogel. She appeared to be more of a villain than an innocent bystander or a friend of Dexter’s, so for her to die doesn’t make the show anymore compelling; it’s more of an “oh well” moment. The writers of Dexter also made a fatal move by reintroducing Hannah McKay into this season, a character the series could have desperately done without. Having her as a part of the seventh season was enough of a mistake, and her relationship with Dexter was nothing more than forced. For her to come back feels awkwardly strange, and she really doesn’t belong. She basically came out of nowhere after last season’s escape from prison. I can’t really buy into the fact that both characters are in love, because how can they be after last season’s events? It feels unbelievable and silly. The fact that Dexter has had a change of heart with Hannah so many times over the course of the past two seasons really diminishes his character’s credibility, and he’s beginning to slip away from the sympathy of his audience. A character can’t continuously change their mind without the audience losing interest. At this point, I’m watching each episode asking, “come on Dexter, what are you thinking?” I shouldn’t have that sort of mentality going into a television show. Dexter also gained a new protégée this season, which could have worked if he wasn’t killed off two episodes later. And suddenly his death puts Dexter into a fit of despair and anguish, as if someone important to him had been killed. But for this character to barely be developed, only to be killed off doesn’t make sense. If a character is played up to be extremely important, he shouldn’t be killed off before his importance becomes apparent. If he was meant to be a catalyst to make Dexter leave Miami, then he’s a rather lazy catalyst, be casually tossed away without any importance. He’s another example of the cluster of plots that the writers are losing control of. There are far to many to keep track of, and far to many to care about. It’s overwhelming for a show to shove so much at its audience during its final season, when many of them have very little to no purpose at all in regards to the ending. Finally, Dexter’s final season doesn’t put its title character in any danger. The suspense is gone as Dexter goes about business as usual. He’s not really at risk of being discovered, and the people he loves aren’t in any danger either. Even if he does get caught, will it matter? There has been no one trying to reveal his secret the entire season, no law enforcement officials getting suspicious. It’s hard for the finale to have any potency if this season is like the last two. 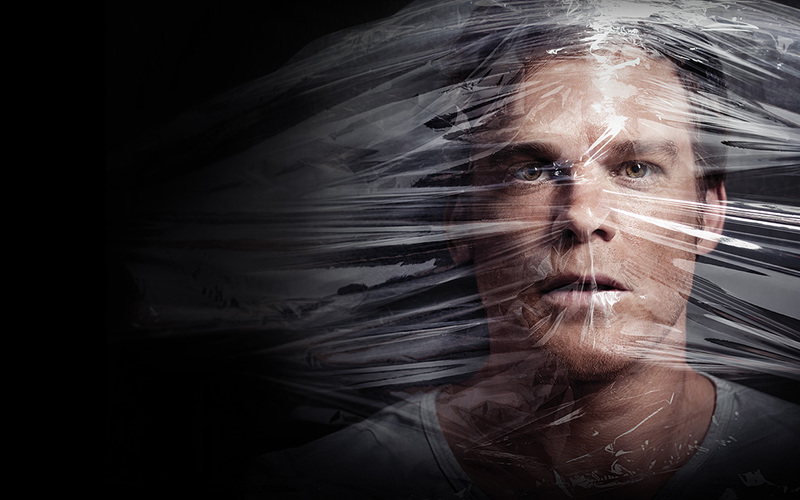 This is supposed to be the end for Dexter, but why does it feel like the beginning? I hope the writers have something spectacular planned that will shock me, because right now I see the finale as nothing more than a subpar moment in a series that could have been brilliant. Will I watch the final two episodes? Yes, but I doubt I’ll enjoy them as much as the final two episodes of season four, where Dexter could have ended on a tragic, but brilliant note. I preferably watch Dexter Season 8 to see the different hair styles and dresses of its actors.